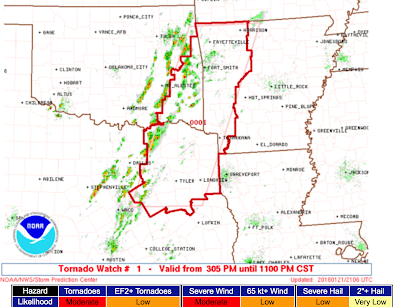 A tornado watch is in effect until 11pm for parts of Texas, Oklahoma and Arkansas. 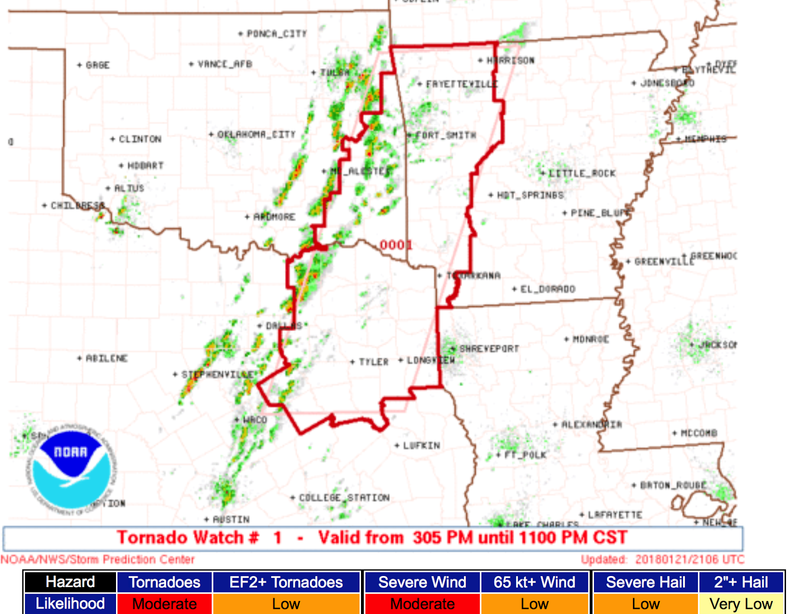 Because it is very early in the year, you might want to make sure any friends or relatives in the watch are aware of the threat and that they should be monitoring the weather. Note: I will not be live-blogging the storms. Please monitor reliable local sources of weather information.